On May 19, 2017, a divided Ninth Circuit Court of Appeals denied the State of Washington’s (“State”) petitions for rehearing of its prior order upholding an injunction requiring the State to remove or repair State-owned culverts blocking salmon passage to spawning habitat as violative of Tribal Treaty fishing rights. In a strongly worded dissent, nine judges criticized the denial of rehearing en banc, and faulted the panel for relying upon a “heretofore unknown duty” in the Stevens Treaties to impose an obligation to create additional salmon habitat at a significant and purportedly unjustified cost. While it is unclear whether the State will petition the U.S. Supreme Court to review the decision, the implications of the panel’s decision and the vigorous dissent both provide potential justification for seeking the Court’s review. On many accounts, this appears far from settled. As previously reported, this case has its genesis in the longstanding U.S. v. Washington litigation, which involves determining the scope of the Western Washington Treaty Tribes’ fishing rights under the Stevens Treaties of the 1850s. In the present subproceeding, the U.S. District Court of Western Washington issued a declaratory order in 2007 holding that “[the] right of taking fish, secured to the Tribes in the Stevens Treaties, imposes a duty upon the State to refrain from building or operating culverts under State-maintained roads that hinder fish passage and thereby diminish the number of fish that would otherwise be available for Tribal harvest.” As a remedy, in 2013, the district court issued a permanent injunction requiring the State agencies to provide and maintain fish passage for salmon at the barrier culverts, and set timelines within which the State must take specific action to that end. On appeal, the Ninth Circuit upheld the lower court’s injunction requiring the State to remove or replace the barrier culverts. The court held that the Tribes’ purpose in entering the Treaties and reserving their right to fish at their usual and accustomed places included ensuring “there would be fish sufficient to sustain them.” The Ninth Circuit, relying on the Supreme Court’s decision in a prior phase of the litigation, Washington v. Washington State Commercial Passenger Fishing Vessel Association, interpreted the Court’s opinion to not only allocate up to one-half of all harvestable fish to the Tribes, but to establish that allocation as a ceiling rather than a floor. The Ninth Circuit also held, citing Fishing Vessel, that the Treaties guaranteed the Tribes not only their share of the fish, but a promise of protection for the Tribes’ supply of fish. The appellate court dismissed the State’s contention that the cost to remove and repair the culverts would impose too harsh a financial burden on the State, noting that the district court carefully considered the cost of accelerating correction of the barrier culverts and concluded the State could comply without cutting vital programs. The court likewise rejected the State’s contention that the injunction was overly broad because the Tribes presented no evidence that State-owned culverts are a significant cause of the decline in salmon. The court noted that significant evidence supported that conclusion, as well as the conclusion that removal of the State-owned barrier culverts would increase the number of salmon despite that other barriers might exist on the same streams and creeks. The court also rebuffed the State’s attempt to argue that the Tribes’ claims should be barred by laches, because neither the United States nor the Tribes previously raised the culvert issue throughout the many years of the lawsuit. The court noted substantial case law holding that the government cannot render Tribal treaty rights unenforceable based on laches or estoppel. The court distinguished the Supreme Court’s decision City of Sherrill v. Oneida Indian Nation of N.Y., a case in which the Court found the Tribe had relinquished its treaty rights in an abandoned reservation, and were incapable of revival after its claim remained dormant for nearly 200 years. The court noted that in this case, the Tribes had not relinquished their Treaty rights, and unlike in Sherrill, the Tribes had been in a continuous conflict with the State about their fishing rights for over one hundred years. In August of 2016, in response to the Ninth Circuit decision, the State petitioned for rehearing and rehearing en banc. The panel, consisting of Judges Fletcher, Gould, and Ezra, denied the petitions. One judge called for a vote on the petition for rehearing en banc, and the majority of non-recused active judges voted against rehearing. Judge O’Scannlain, joined by Judges Kozinski, Tallman, Callahan, Bea, Ikuta, N.R. Smith, and Bybee and M. Smith as to legal analysis, wrote an ardent dissent to the denial of rehearing en banc. Judges Fletcher and Gould authored a concurrence in the denial, largely addressing the arguments raised in by the dissenting judges. Writing for nine judges who dissented from the denial of rehearing en banc, Judge O’Scannlain took the court to task for “fashioning itself as a twenty-first century environmental regulator.” Motivated by the significant financial and potentially precedential effect of the underlying decision, the dissent raised four critical errors with the panel’s opinion. First, the dissent argues that the panel misread the Supreme Court’s decision in Fishing Vessel as requiring the State to ensure that there are a certain “number of fish” available for the Tribes, “sufficient to provide a moderate living.” Instead, the dissent states that a proper reading of Fishing Vessel demonstrates that the Court imposed a ceiling on the quantity of fish—either a 50% share of harvestable fish or enough for a moderate living, whichever was less. Thus, based on the dissent’s interpretation, the Tribes are entitled to a “fair share of the available fish, rather than a certain number of fish.” In finding an entitlement to a particular minimum allocation of fish, the dissent says the panel misconstrued Fishing Vessel as well as other Ninth Circuit precedent. Second, even if the Tribes are entitled to a specific quantity of fish, the dissent states that this does not necessarily mean that installation and maintenance of culverts violate the Treaties. In addition to questioning the evidence for this conclusion, the dissent takes issue with the far-reaching implications of the panel’s opinion, which it argues reinstates the same boundless prevention of habitat degradation standard that the Ninth Circuit previously rejected. While the opinion only addresses State-owned culverts, the dissent states that its reasoning supports potential challenges to other practices that can degrade fish habitat (e.g., dams, logging, grazing, construction) and to impacts on other species that were traditionally hunted by Tribes in several Western States. Third, the dissent disagreed with the panel’s opinion that the Tribes’ claims could not be barred by laches. Arguing that the panel contravened the Supreme Court’s decision in City of Sherrill v. Oneida Indian Nation of N.Y., the dissent noted that the United States’ “long acquiescence,” and its own design of some of the offending culverts, provides good reason to contend that its claims are barred by the doctrine of laches. If the United States is barred, the entire suit would be prohibited because the Tribes would be unable to puncture the State’s defense of sovereign immunity. Finally, the dissent argues that the injunction itself should be rejected as overbroad, because there is no indication that replacement of a particular culvert actually will increase available salmon habitat. 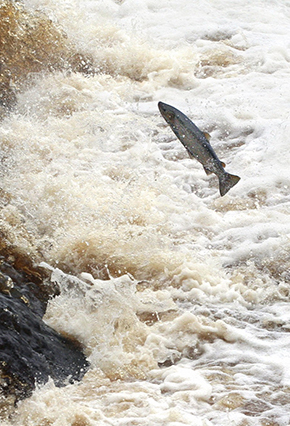 Focusing on the substantial cost associated with culvert replacement, the dissent found that a requirement to replace even a single barrier that will have no tangible impact on the salmon population (e.g., if passage is blocked or habitat is limited by non-state-owned barriers) is an unjustified burden. In response to the issues raised in the dissent, the two Ninth Circuit judges that were part of the panel issued an opinion concurring in the denial of rehearing en banc. First, with respect to Fishing Vessel, the concurrence states that the Supreme Court recognized that the Treaties promised that Tribes would have enough salmon to feed themselves. While the Tribes only get 50% of the catch, there is no authorization for the State to diminish or eliminate the supply of salmon available for harvest because, according to the dissent, that would result in the Tribes getting 50% of nothing. Second, the concurrence rejects the dissent’s concerns about the potential effect and scope of the panel’s holding. The concurrence notes that the Eleventh Amendment would bar further lawsuits without participation of the United States, and that the implications of the decision are cabined by the facts specific to the case. Third, on laches, the concurrence distinguished City of Sherrill because, unlike the facts of that case, the Tribes here have not acted to relinquish their Treaty rights or abandoned their reservations. Finally, the concurrence rejected the assertion that the injunction was overbroad, and faulted the dissent for exaggerated the cost of compliance. The Ninth Circuit’s denial of rehearing essentially maintains the status quo with respect to the State’s obligations pursuant to the Tribes’ Treaty right. The district court’s injunction remains in place, the State is required to replace or repair culverts blocking fish passage in accordance with established timelines. The implications of the Culvert decision on entities other than the State remain unclear. While the Dissent suggests that the decision could have far reaching implication, the Concurrence suggests implications of the Culvert decision is limited to the facts presented by this case. Both the Dissent and the Concurrent have limited precedential effect. As such, it is likely that there will be additional litigation defining the nature and scope of the habitat obligations associated with the Stevens Treaties. It is also unclear at this time whether the State will seek Supreme Court review. However, the strident Dissent could bolster such an effort to seek Supreme Court review. For more information about the Ninth Circuit’s injunction, or to discuss potential implications of the decision, please contact Molly Lawrence at (206) 623.9372, or any member of the firm’s Environmental Litigation practice.